Engineering Cyber-Physical Systems (CPS) is challenging, as these systems have to handle uncertainty and change during operation. A typical approach to deal with uncertainty is enhancing the system with self-adaptation capabilities. 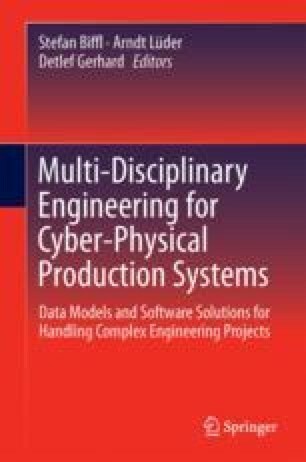 However, realizing self-adaptation in CPS, and consequently also in Cyber-Physical Production Systems (CPPS) as a member of the CPS family, is particularly challenging due to the specific characteristics of these systems, including the seamless integration of computational and physical components, the inherent heterogeneity and large-scale of such systems, and their open-endedness. In this chapter we survey CPS studies that apply the promising design strategy of combining different self-adaptation mechanisms across the technology stack of the system. Based on the survey results, we derive recurring adaptation patterns that structure and consolidate design knowledge. The patterns offer problem-solution pairs to engineers for the design of future CPS and CPPS with self-adaptation capabilities. Finally, the chapter outlines the potential of collective intelligence systems for CPPS and their engineering based on the survey results. This work was supported by the Christian Doppler Forschungsgesellschaft, the Federal Ministry of Science, Research and Economy, the National Foundation for Research, Technology and Development in Austria, and Technische Universität Wien research funds.